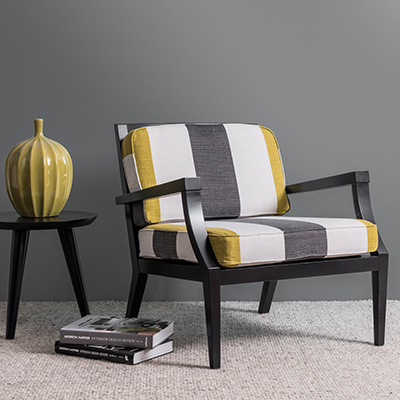 Buying an accent or occasional chair is something that’s only done, well… occasionally. Putting in the right thinking before any purchase will ensure your chair always provides the right balance of style and usability. Coordination. There is always a fine line between standing out and looking out of place. 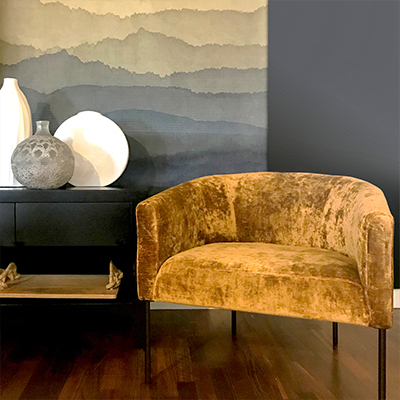 Here it pays to look for how the chair can tie into other elements within the room, be with its shape, fabric pattern or construction details. There may be opportunities to subtly tie in the chair with a favourite painting, rug or wallpaper. Flexibility. Sure, it looks great in the spot you’ve chosen. But how well can it be placed in other rooms? With the chair ideally in your life for decades to come you’ll want to know it can move with the times. This is just another reason to ensure you invest in quality construction also. Functionality. Consider carefully the use you’ll have for the chair. And it certainly needs to be useful too – if you want something that is all beauty and no functionality we suggest investing in a dramatic artwork.